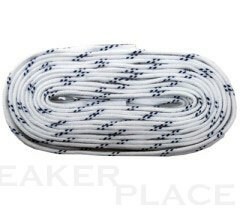 Laces for hockey skates waxed white. Waxed laces slip after tightening by again. The laces stay in position.